This article is sponsored by CV Sciences, Inc. CV Sciences is one of the leading suppliers and manufacturers of agricultural hemp-derived CBD bulk and finished products, namely their PlusCBD Oil and Purified Liquids brands. “There’s more than one way to skin a cat” is a weirdly morbid saying, but the phrase’s core concept rings true – there are a lot of ways to accomplish the same task. This has never been more true for cannabidiol (CBD). With the rising demand for CBD products, there are a plethora of different ways to get your daily dose. They range from sublingual sprays, to vaping CBD oils, to smoking good old-fashioned joints. Yet most people don’t know that the way in which you ingest CBD can drastically alter its effective dosage. In general, not all of the CBD you consume will directly affect your body: only a certain percentage will be able to enter your systemic circulation and produce its active effects. This percentage is referred to in science as “bioavailability,” and it strongly depends on the manner in which CBD is introduced to your system. For example, the oral bioavailability of CBD is roughly 15 percent. That means for every 100 milligrams of CBD that you eat, only 15 milligrams will actually reach your bloodstream. There are two main reasons why this happens. First, CBD is hydrophobic, meaning that it is not very water-soluble. In the same way that oil does not like to mix with vinegar, CBD does not like to stay in your bloodstream. Instead, it rapidly diffuses out of your blood and accumulates into your fatty tissues. Unfortunately, this significantly reduces the amount of bioactive CBD that can enter your systemic circulation, allowing for less CBD to be carried to its active sites in your body and thus lowering its overall bioavailability. Second, when an organic compound like CBD enters your gut, it has to pass through the liver before it enters your circulation. During this transition, the liver will actively reduce the amount of CBD, either through absorption or through chemical breakdown by liver enzymes. This phenomenon is called the “first-pass effect,” where passing through the liver reduces the concentration of bioactive compounds. There are a few different ways to offset these losses of CBD. For one, you can reduce the amount of CBD that dissolves out of your bloodstream by putting the CBD into a form that is more hydrophilic, or water-soluble. However, this can only be achieved by complicated chemical means, such as through the use of cyclodextrins or liposomes. A more practical solution is to bypass the first-pass effect of oral administration entirely by utilizing vaporization. Of course, if you’re leaning towards embracing the vape life, make sure you’ve done your research on the concentrate you intend to consume. Without sufficient regulatory oversight in the emerging vape and cannabis industries, few companies have been able to produce a clear and homogenous CBD solution, so the milligram amount in CBD products is often inconsistent with the amount claimed on the label. Be sure to ask for both in-house and third-party test results from your chosen source to ensure you’re getting a quality product! Andrew Pham currently serves as the Lead Scientist at CV Sciences, Inc. He was formerly the Lead Scientist at SC Laboratories, a prominent third-party analytical testing lab. He is also an executive member of the Cannabis Chemistry Subdivision (CANN) of the American Chemical Society. Wait I thought there were already a bunch of comments on here? 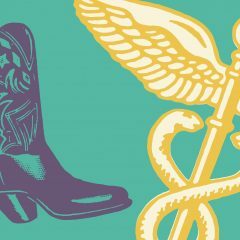 Everyone here needs to know there was a big conversation regarding CBD bioavailability in the comments and Leafly deleted them because article is WRONG and sponsored ! Thanks for pointing out that the article is sponsored; I hadn’t noticed. I’ll check more carefully from now on. I don’t think anyone disputes what is in the article though. We should begin a thread and see how many followers we can get. That for people that don’t have better things to do in life, start a following how to get cheap or better still free marijuana the kind with THC knot CBD’s but CBD is all you get for medical. The 15% bioavailability of CBD when ingested through edibles does not make sense to me. Is CBD different than THC when consumed as an edible? I have read in several publications that when THC is consumed as an edible, your liver converts the THC into 11-hydroxy-THC which is 4-5 times more potent than when THC is consumed through smoking or vaping. Anyone who has vaped vs. ate cannabis knows that eating cannabis can provide a much stronger effect. Is my assumption that all cannabinoids are processed the same way through our digestive system wrong? In order for your body to process THC ingested it already needs to be bound to a lipid, hence “browneys”, and yes, it is MUCH stronger that way and lasts from 6-8 hours. 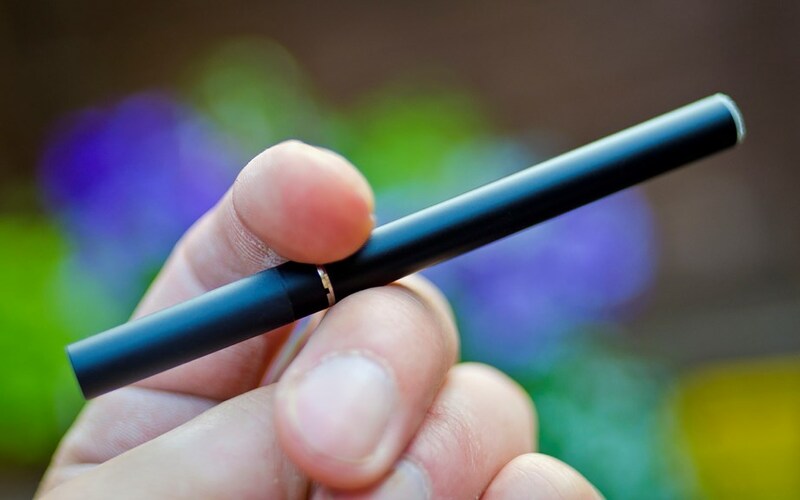 Vaping can be as strong if you’ve got high grade chronic or are smoking concentrate (dabs). 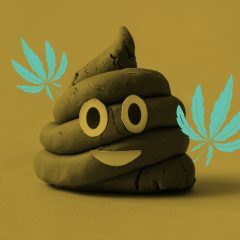 CBD typically goes unnoticed when smoked because it tends to act as a modulator to THC and doesn’t have prominent psychoactive effects but rather acts primarily on the body’s endogenous cannabinoid receptors, hence why the high seems much more intense when you manufacture an edible – it’s not just hitting the brain and then being disposed of renally. I’d be interested in hearing where you got that 15% from. If so, its likely from a standardized pharmaceutical grade isolate or synthesis in a double blind study, not the type of thing you’re going to experience in your day to day interactions with dubious CBD peddlers who like to stick “300mg” on the front of their bottles when they mean 300mg full spectrum and not Cbd isolate. You can think of it sort of like this. MDMA and Methamphetamine are processed entirely differently by the body, right? MDMA, or methelynedioxy-METHamphetamine, because of the methylenedioxy attachment causes not only a completely different mode of cognitive reactions but entirely different processing. Very minor changes in chemical composition can mean dramatic differences in effect and decomposition. I love my vapor oils. I have CBD, hybrid, setevia and indicol for bedtime. I have reduced the oxycodone from 140 mgs to 10 mgs! I am allergic to oral NSAIDS, so vaping CBD’s has given me a safe way to get anti-inflammatory into my trashed spine. I also vape wax when the pain gets too bad. Nope!!! Thats what they want typu to thing, Cannabis oil is 80 percent cheaper than going throigh chemo amd taking cancer meds . My grandmother is a stage 3 breast cancer survivor her meds use to be lietrally 800 for a 30 day script my grandfather would pay out of pocket. Cannabis oil is around 30-40 for a few grams where im from and works ny attcking the cancer cells, The pain relief is also better and non addicting like opiates. Let me know if you have anymore questions in your time of need. Isn’t cannabis oil very expensive? I do not want chemo! However cannabis is not covered by health insurance, is it? About $45-$60 for a 200ml vape cartridge. Mileage will vary depending on your medical need, but the vape cartridges are a very clean, efficient method with very little wasted product. here in portugal normal vape juice is 10 euros medium but cbd vape juice is 40 euros medium so…. I am just learning about this new way to try to cope with my pain. It’s from a spinal fx from 9 yrs ago that they can’t do anything else for except give me drugs. I did wean myself off the MS Contin because I felt like I was in a coma all day and night. I didn’t dare drive. I could be in the grocery store pushing the cart and fall asleep. It was awful !!! Now I’m on Percocet and a Fentenyl Patch. I just want to feel more “normal”. I’ve learned a lot reading everyone’s comments just one thing I noticed you referred to I’m not familiar with. Can you tell me what “waxing” is ? Thanks so much for your help. I know this is from 2 years ago, but; it depends upon where you live. We have developed a collective (which most people can do) where we all pool our money. We buy approx. 33.5 tubes (30 ml’s each) of a combination of cannabinoids. We use THCa, CBD, CBC, and CBG. There is a very small amount (.0348%) of THC that we live with, however; the THCa is for the most part, “non-psychoactive.” We have a ratio of 20 mg’s of CBD and 20 mg’s of THCa (per ml). The CBC/CBG are only in small amounts, but; they make a difference. This works for a variety of people who have Type II Diabetes, pain, anxiety, sleep disorders, A-Fib, and just about anything else. We use RSO (high THC/low CBD) and minerals for cancer only. We have our daily cost at about $.89 cents per dose. We only micro-dose 1/3 of an ml per day. Some people with more acute pain will take twice that amount. Kratom is also very helpful to get off meds. I use it for my chronic pain and it works wonders. Don’t believe the garbage propaganda the DEA is pushing about kratom. It is not bad and has never killed anyone. The side affects they have mentioned about hallucinating is utter bull and kratom just a natural plant leaf ground into powder. Yes, kratom is a powerful pain-killer BUT after using kratom daily for several months, I learned how absolutely devastating withdrawals from this ‘natural plant’ are. If used once a week, or every other week, I can see it being an extremely helpful option, however, used daily this plant can be extremely problematic. For an anti-inflammatory, nothing in the world beats 4 to 6 tart red Montmorency or similar cherries per day. You have my word on it. They can even be dried which is usually the way I buy them, but DO NOT GET the dark red sweet ones. They are useless! Sunmaid makes the best ones and they cost about $5.50 for a 5 Oz. bag. That’s enough cherries to last for over a month. What do you have to lose? I’m new to this. I have RA and Fibromyalgia. No more hydrocodone avail. I took 2 per day and it helped me survive working and managed my pain very well. Now ppl tell me CBD is the latest for inflamation. There is so much to learn and how do I know which brand is legit? P.S. Does anyone know if this would help my RLS? Restless Leg Syndrome. CBD will absolutely aid your RA. I have an aunt who has RA and for 12 years she took hydrocodone. She is now on a high CBD regimen, both ingested and inhaled; she now has a relative grasp on her pain management. As far as RLS, I’m not sure of CBD treating such an disorder as it has been regarded as an antinflammatory, analgesic, antipsychotic and anticarcinogen. Though, the antipsychotic property may inhibit your executive/peripheral communication, warranting RLS. There is no harm in experimenting with a regimen! I use PhytoFamily Full Spectrum Labs. In-house and third-party tested. Its pricey but WOW. F = 3.8 +/- 2.8% sublingual ethanolic THC solution. F = 1.3 +/- 1.4% oral ethanolic THC solution. Never assume! THC and CBD are two different oils. 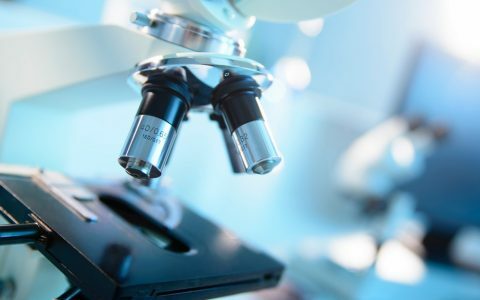 The presence of two metabolites studied in VITRO does not determine how the mechanism of action or works in either pharmacokinetics or psychopharmacology, nor the entirety of its digestive mechanisms. Phase solubility method only only analyzes the solubility of compounds at particular states given a particular solvent. Given that cyclodextrin compounds are simply complex sugars that are good at decomposing simpler compounds it doesn’t seem that unlikely that they should both foloydew such a path.I could be really sarcastic here but I’m not going to. I’ll just point out that ethanol metabolizes into acetaldehyde, then into acetone (solvent precursor) to : a sugar.You do the math. But saying that THC and CBD hav e the same bioavailability when we barely understand the cannabinoid receptors as it is is like saying 1-p-lsd is the same as n,lsd because that old hippy said so. Vaping CBD is 100% the way forward. Since the new meds that I need to take mean I can’t drink alcohol anymore, I vape these ones called ma (or ma time, not sure which name is right) and it’s so relaxing – really nice to still be able to join in with something in social situations. It’s got virtutally no THC in it, but totally chills me out, can’t recommend it highly enough. Can I use a pax 2 to Vape this oil, or do I need a different kind of vessel to Vape? Any kind of vape pen that you would use with e-juice will work. Since our cbd oil is thicker than e juice, I cut it about 50/50 with organic, nicotine free juice that you can find at a vape store. It’s fast acting this way, and you use very little precious cbd oil. Thanks Carmen, since I’m new at this, when I get to Az in January I plan on purchasing this oil, would high CBD tincture oil work, and could I cut it with coconut oil? Can’t vape coconut oil. I’d mix it with vegetable glycerine e juice. Most e juice is propolyene glycol but not healthy for your lungs. The one I use is called Kind Juice it’s organic. Ok but the organic nicotine free juice won’t hurt my lungs, right? Thanks for all your help! I really appreciate it! I always research the heck out of everything I ingest – vaping is new so who knows? I notice I have a cough from vaping and others that vape cough a lot too. For this reason I tend to use the hemp extract Cbd orally and topically mostly. That’s not true. They use coconut oil or pure MCT oil in vape cartridges all the time. I personally prefer pure MCT oils (which are derived from coconuts) over propylene glycol and I personally do not mix my medications in with e juices. I don’t vape for fun, I quit smoking a few years ago, but I would suggest having a separate rig or small vape system for your pure CBD oils. I honestly prefer the disposable pens, the silver type, not the black or white ones that look like cigarettes. I am a long term pain management patient. I have my medical card in California and go to dispensaries here and in Nevada. I have tried my share of CBD oils. You really have to be careful not to be taken advantage of on these bottles. Many of them are not even worth the money you pay for them. To me, the CBD in MCT oils have a much better flavor than ANY in a chemical, ANY DAY! Its not coconut oil per se, its coconut flavouring. Vaping coconut oil is dangerous. It has been proven to cause lung disease such as pneumonia. Well, I wouldn’t go to the store and buy coconut oil and use it, but I trust what is in my cartridges that are being tested in Nevada. Can you share what products you buy, and from what company? 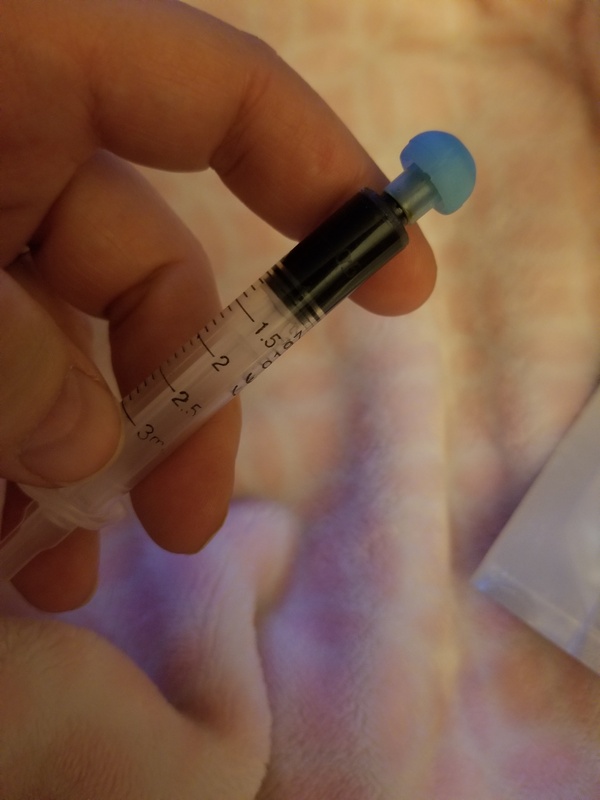 Right now I am using a CBD syringe that I am using orally. You can place an amount only as big as a small piece of rice on your fingertip and scrape it off onto the back side of your bottom teeth. Then you keep it under your your tongue for 30-45 seconds for it to absorb into your blood stream. 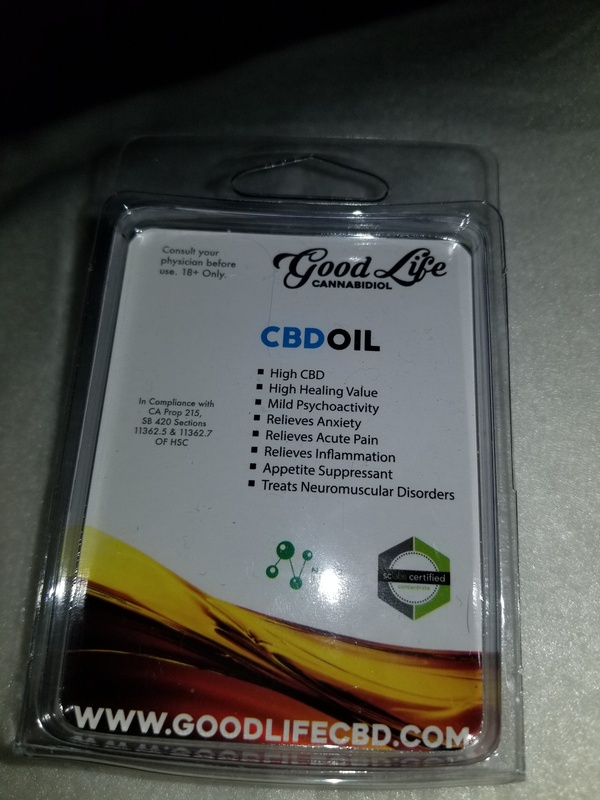 It is by Good Life Cannabidiol. 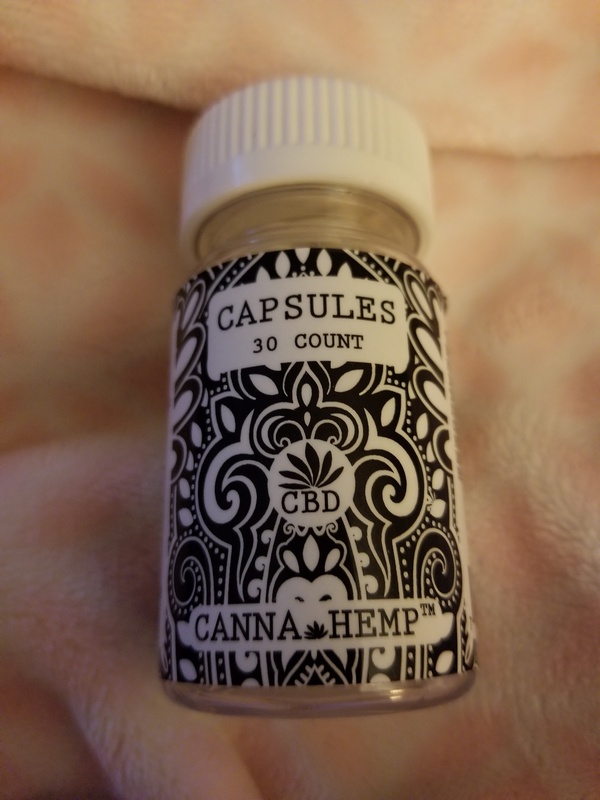 The one I use is CBD only and is 500 MG. The company also makes CBD/RSO combo and an RSO only syringe. They also have flavored vape cartridges, which I personally do not buy, because, first of all, I am not all that crazy about the crazy flavors lol, and second, there are reports starting to come out about study findings of all these ejuice flavoring causing some very major problems in people’s lungs….and they are not able to fix the issues. So, if I choose to smoke, I’ll stick with the natural stuff. You CAN also smoke the stuff in these syringes if you want, I just personally choose to use it orally. My delivery dispensary, charges $45 for a 1/2 gram syringe of the CBD. The first time I used it, it actually took my deep deep back pain away. Something that I have lived with for over 25 years. I wasn’t even expecting that to happen! I was completely floored! It actually MADE me cry because I have NEVER had anything take my pain away like that before!! Now I use this when I ABSOLUTELY cannot take the pain any longer! 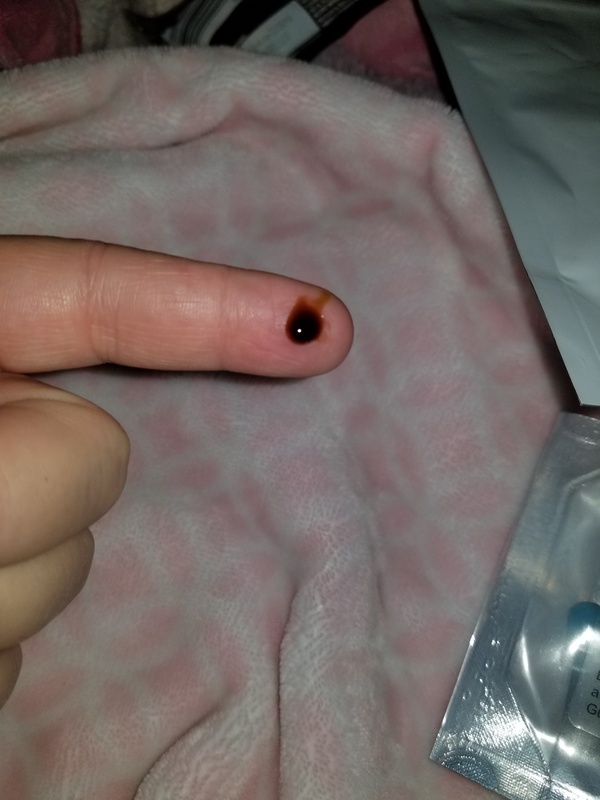 The effects last for quite some time, but definitely not long enough for me lol, and unfortunately I certainly cannot afford to pay cash continuously for this to be out of pain, 😔 I would LOVE to see this stuff covered by our insurance plans because it is the ONLY THING that has actually taken my pain away completely!! We have a LONG way to go before we can truly help people who really need pain relief and don’t want to be on crappy pain pills that damage our organs etc. The DEA and FDA are making new rules for Opioids and cutting back production, but they aren’t giving new options on insurance plans. I’d rather have CBD’s covered on my plan…all day long! No feeling high at all and totally kicks the pain! I am a long term pain management patient with Fibromyalgia, Chronic Pain Syndrome, bursitis in both hips, DeQuervain’s Tenosynovitis in both wrists/thumbs, MASSIVE neuropathy in both hips, thighs, calves, ankles & feet, insomnia, tinnitus so loud in both ears that if I do get to sleep, it wakes me up. I have several other conditions I could add to my list, but I think you get the picture lol. someone suggested vaping the dry product or flowers directly , have you done that? Yes, I have. But I personally don’t care to smoke the product since I quit smoking several years ago. I also don’t care to be high…although I do have some CBD flower. I just prefer I oral dosing. My best relief comes from 1:1 CBD/THC. 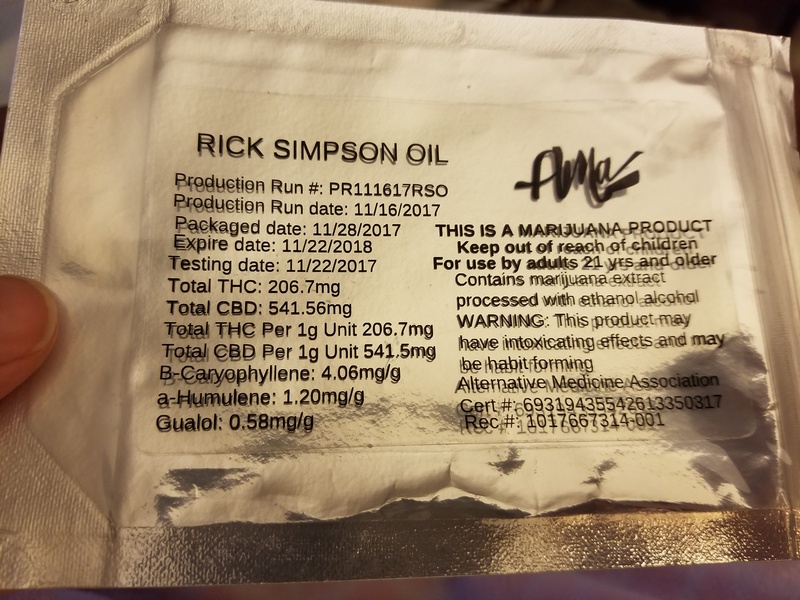 I get a RSO (Rick Simpson Oil) product made in Nevada by Cannavative that is incredible for my pain! $70 per gram. There is also a lotion that you can get that is made by The Fay Farm. It’s the 💥💣BOMB! !💣💥 ALL OF THEIR STUFF IS! Go to thefayfarm dot com to see their items. If you have muscle pain or surface nerve pain, their lotions and salves will save your day! I do like my vaping over flower because of convenience. I just always buy natural flavored vape cartridges…I never buy cartridges that have fruit flavors or unnatural flavors to them. I do this because I have a friend whose son ended up with that popcorn lung from regular vaping, and it almost killed him. That is caused from all of those unnatural added flavorings. nvtruckergirl – like you, I often have chronic pain especially in my back. I do NOT want to get high. I currently take one quarter of a tramadol pill most days. It alleviates some of the pain without making me loopy. How much does one dose of CBD oil to vape cost? 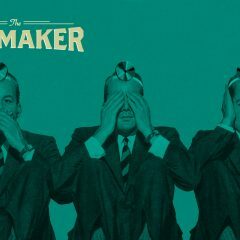 I am not interested in making my own vape (I have never vaped, and quit smoking 4 decades ago). I just want to try the ready-made CBD oil if it will help my pain and not make me high. (and not too expensive). thanks. First, Joe, what state are you in? Just curious? If you are close to where I go I could recommend actual products I use. If not, they will more than likely be different, because most products stay within the State that they are being produced in. I have a hard time getting the same things in California that I get in Nevada. From my expreiences, a good vape cartride is one that is 1:1 CBD/THC(which is a 50/50 CBD/THC ratio) and honestly the best mix to kill pain. They run about $50-60. The CBD will cut the THC effects. What you should look for on the label of the Medication is how much CBD content there is as compared to the THC. If you can find one that is even higher than the 50% ratio on the CBD side, that’s even better in my opinion. Higher CBD than THC is great. I also DO NOT buy cartridges that are flavored like Strawberry, Tangerine Dream etc… keep it basic. It’s a chemical in the artificial flavoring that causes popcorn lung in people who who are vaping ecigs and mods. 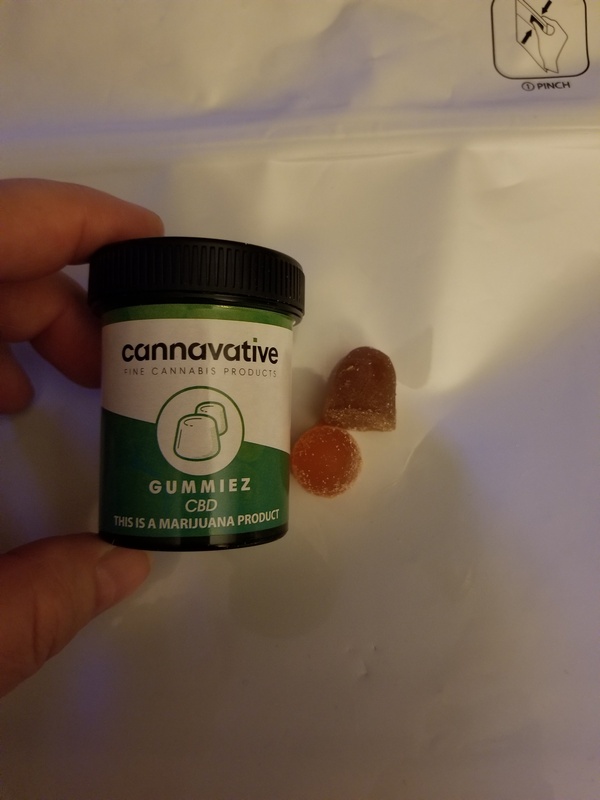 Other great options that I recently tried are CBD Gummies…these have the same rule as the Vape. 1:1 but look at the content. 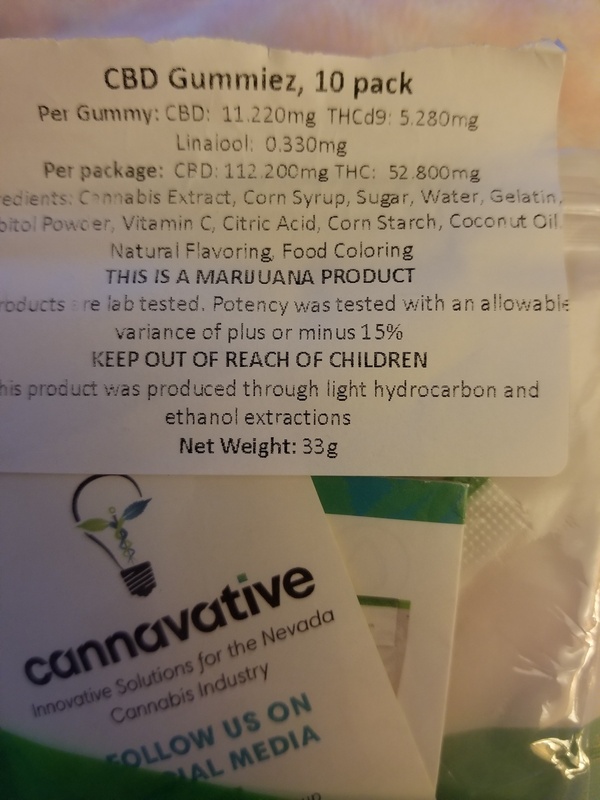 I can post a picture of a label of the Gummies I recently purchased so you can see how the CBD and THC shows up on the label. I have a feeling that these might be a pretty good option for your pain. My pain is pretty severe and these knock the edge off of my pain pretty well. I tried this for the first time during a pretty major anxiety attack, and it relaxed me pretty quickly. The ones I bought were 10 for $40 and very effective. Also EXTREMELY effective, is RSO (Rick Simpson Oil) a powerful punch for the pain. You take a tiny bit and your pain is gone for a few hours. DO NOT take too much or you may feel the effects of the THC. You take a small amount, like what shows in the picture I posted. Like a small grain of rice. 1 gram of this brand was $50. A gram of a brand that I also frequently use is $70. They both work well, but the only difference is the CBD/THC ratio. Then you have the option of buying straight CBD Capsules. The ones I bought were 30 for $80. I just tried one tonight to see if it would kill my pain all by itself. It helped some, but it wouldn’t take away my neuropathy pain away in my legs. The capsules are 24.4 mg each. I’m wondering if 2 of them would kick my pain completely? One might work very well for you. I really have this sneaking suspicion that even a minor amount of THC is really needed to for the full effects of the CBD to be felt by the pain patient. I have tried my share of combinations and have found this to be true in my case anyway. thanks for all of the info. The problem is that I want zero THC. For one, I do not want to get high, and secondly, do not want to fail a drug test. So CBD without THC is my only option. Also, it sounds like your pain is much worse than mine. When i am exercising consistently I often can get by without any pain meds at all. I live in Savannah GA (and I am often in South Carolina). by the way, I have CBD oil ointment (cbd for life rub) that I have used on my tendinitis (I helps only a little) but it helps my wife’s headaches a lot, when I rub it on her head. by the way, CBD is legal here and I have tried 2 different dosages, and neither did anything to help my pain. So am continuing with my low dosage tramadol. But I do thank you for your input. Stay away from propelene glycol, look for vegetable glycerine instead. I just bought KOI 1000g cbd oil for the 1st time. It has this glycol in it and I too got a headache. I will see if it subsides but its hard to vape this. I cough a lot. Not really liking this aspect for sure. I got headaches from vaping too. A spray works perfectly for me. Do you have to use nicotine free juice ? So…I can mix a regular full strain CBD oil w/any ejuice of preference? He meant that the Grasshopper is a convection (just as the Firefly 2 is). https://www.sundancecosmetics.com/products/hemp-extract-drops?utm_campaign=facebook_messenger&utm_medium=shopkey&utm_source=facebook_messenger just make sure it’s low temp vape pen. It’s not about blowing clouds, but is about medicating. Where do you get it? Are you in a legal state? I’m looking for a high quality hemp CBD oil or whatever form I need for vaping. A company called Quanta has a polarized CBD that energizes yet relaxes your muscles at the same time. Amazing technology nowadays! what strain or percetage of CDD is in this form – I am new to this! Going to dispensary for the fist time on Saturday.. I don’t want to get high I just want to ease pain and relax. I would like to use cannabis oil instead of chemo but isn’t it extremely expensive? Thank you for this, Tina! I got the “go ahead” from a MM doctor and applied and am awaiting my MM card. Anyone know how long this takes in MA?? CBD cristal is 80/100 $ agram !!! but … you may need only 25 mgs per day, wich gives you 40 days out of a gram, and if you vaporize it it may be 4 times stronger, wich means half a dollar per day. Don’t trust this forum. Out of selfrespect, find out the right info. I just got the CBD oil. They told me to use half gran of rice size ? Not sure if I should vap it or eat it ? Any help would be great . Under your tongue for 30 seconds. I have a severe GI issue in my small intestine, and I’ve been wondering if my CBD oil is even getting fully absorbed. I smoke a lot and find I get more relief from that. I buy tinctures that have a tiny big of THC in it as well, and it’s made out of grape seed oil. Would it be better to vaporize it than consume it? My dispensary is looking into getting CBD only/high CBD strains of oil and such in stock. All their products have always been clean and potent (I sick with them exclusively, since they genuinely care about my health). I’m just wondering if tinctures would be compromised with Crohn’s. I have really bad headaches but when I smoke weed I get really paranoid and my headaches still seem to be there. Some of my coworkers said vaping cbd will help me.. To calm my nerves and relax me and help me with my pain.. Is this true?? I would say yes, it will definitely help you. If you do get the paranoid effect from it, try chewing a couple of black peppercorns, they counteract that part. Meli Sativa makes you jittery…indica makes you mellow…..if you can remember indica puts you “in da couch”……meaning it will relax you….hope this helps, it helps me. What is the dosage for vaping? How many milligrams of pure CBD oil? This is all so confusing. How do you know how much CBD you’re getting when vaping? It seems as though it would be tough to regulate how much dosage you’re getting going this route. And I keep reading how certain vendors and even 3rd party testers are fraudulent. Who sells good product and gets legit testing? What should I look for when purchasing a CBD vape solution? I ove the CBD oils that work in a vape but also work as a tincture. I know http://deltacbd.com has products made with 100% organic VG and i have been using their products as a tincture for the last few months (since i quit vaping). Would highly recommend this company to anyone looking for high quality CBD. Great piece, Andrew. I got into an a discussion with an idiotic investment banker (who works for an LP) two weeks ago at Lift. He was full of logical fallacies and unscientific claims. It was a discouraging experience, but this gives me hope. Pure MCT oil = oil that is JUST MCTS. It’s derived from either a mix of coconut and palm – or sometimes just coconut. its made out of cocounut and palm oil, but coconut and palm oil also contain LCTs and other fatty acids. It’s like saying Orange juice and water are the same thing because orange juice is made up of mostly water. I know this is a bit late for this post and I’m also not quite sure if anyone will reply but i will post in good faith. xD Anyways, I get horrible anxiety at some times. I only need this for emergencies and not every day use. There are some times when I go to appointments and i get so nervous that my gerd and endometriosis acts up which puts me into a horrible tailspin. I was wondering if vaping was the way to go or oil. I’ve never considered CBD before and only heard about it a couple of days ago but I’m so ready & open for anything. Doctors can’t help me with endo therefore I would like to have it for the pain as well. Can anyone help? I just started vaping this last weekend when I had a booth for my business right next to a lady who sells CBD oil. I sell/use essential oils and they help my anxiety, but I have to admit nothing has worked like vaping CBD has in the last couple days. I am so impressed I’m going to start offering to my clients. CBD is a great anxiety remedy that also helps with pain. It’s certainly safer than benzos for daily use, and it doesn’t carry the addictive risks of narcotic painkillers. No rebound anxiety, no withdrawal when you quit. Just a moderate-strength feeling of relaxation and physical “numbness” that lasts about 3 hours. Drowsiness is non-existent from 1 puff of the vape. After 3 puffs, you’re ready for a nap. And yeah, vaping CBD is the way to go. You can find CBD vape pen kits on eBay for around $15. Mine came with a pen, CBD cartridge, USB charger & tin case–everything you need to get started. I’ve tried CBD capsules & solution, and vaping outshines them both. It is incredibly effective and discreet. Is CBD effective by itself for severe endometriosis pain? Probably not. But it can reduce the amount of pills you have to take to manage your cramps. And it’s probably got some good anti-nausea effects to boot. (I get horribly nauseated during my crampy days). Yep. I was skeptical but just hit my first CBD vape pen and HOLY BALLZ. Three puffs and I’m ready to go nite-nite…and it’s only 5 p.m. The capsules were nice (Eco Caps, 30mg) but vaping is superior even to that. I liked the CBD solution least of all. It did nothing and cost too much. THC seems to be the part of cannabis I like least. A nice full-spectrum CBD blend is an anxiety-free way to enjoy cannabis legally. What concentration of CBD did you use in your vape pen? Could you please tell me which CBD oil you use and maybe a link where to buy? I got some from Bluebird Botanicals, but I don’t love it. I need high CBD for pain. Not interested in the THC. my vape oil or do I need to purchase CBD vape oil? I get a reasonably priced good quality CBD vape oil, then heat some of it up in a small metal cup and add some 99% CBD crystals. Pour that back in the vape bottle. Good therapy. I got 3.5 g of crystals for about $100. YMMV. I dont know nothing about CBD can you explain to me please? 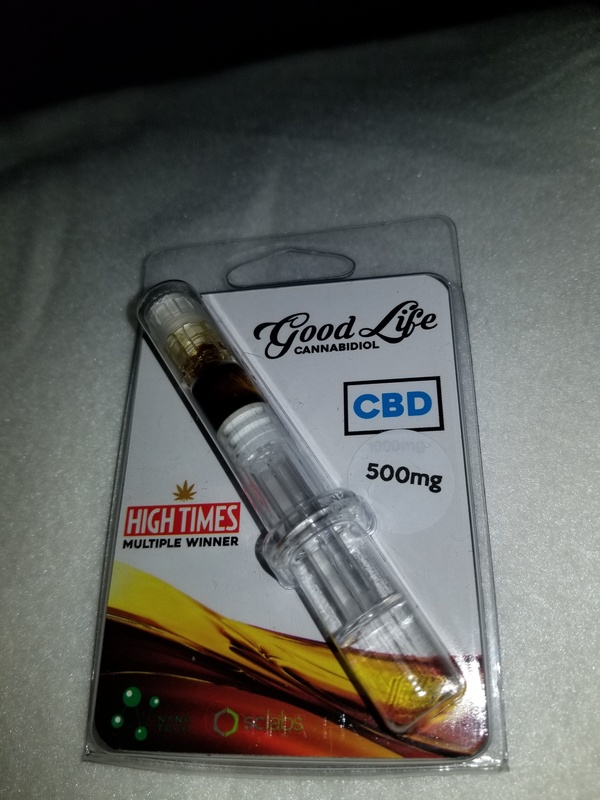 in my country in 30ml of cbd there´s 3% CBD and 900MG is it good to get high? its for me too stay away from illegal weed and cure my sleeping disorder. Dr Mc is for real he cured out my pains and anxiety with his THC/CBD Cannabis Oil , i appreciate and vouch for him 100% Thanks to you John for linking me to the right source, am now cancer free after a 3 month dose of 60grams THC/CBD Cannabis Oil from Dr Mc,my family fully appreciate you Mc ,talk to him at 313- 923-7690 . Vaping CBD hurts my lungs and gives me a headache. I’m doing a little research and I would like to know if baking edibles with CBD infused coconut oil is an effective way of getting the most out of CBD? Thank you! Why not make a tincture?The perfect manner in which to get it in the body. Or do I miss something? Can you vape any regular CBD oil? I’m new at vaping. Have CBD oil. Today is my first time smoking anything. I’m in treatment for Breast cancer 3rd year. Lots of pain in bones an all joints everywhere really. I wanted to get off prescription drugs as I have such harsh side effects. I really feel alright with CBD, except it BURNS my throat and through my ears like fire. Makes my chest feel heavy? Like I said never have been a smoker. I also worry about Lung Cancer? Is there anything I can do to help the burn? I have chronic back pain. I do NOT want to get high. I take only 1/4 of a tramadol (most days) because I do not want to be on drugs. The tramadol does not make me loopy like hydrocodone does. It is enough to allow me to function. On bad days I take half a pill and really bad days 3/4 of a pill. So I am on low-dose pain killers. What (in your opinions) is my best best for CBD pain relief, and what does it cost? The comments seem to favor vaping it. Sorry, but I disagree. Even with just one inhale at night before bed, vaping really knocked me out. Which was nice, but it then stayed in my system and made me fuzzy all day the next day. Not only that, but chronic headaches soon came along. I went back to my CBD seller, and he recommended that I use a spray instead. Yes, it cost 3 times as much, but the seller assured me the bottle would last much longer than the vape. I trusted him, and bought the spray. Have been using it ever since. Lovely sleep at night, and no daytime fuzziness. Better yet, no headaches. As an FYI, I’m in CA. 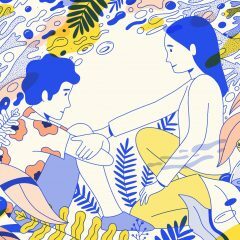 Hello, I just have a quick question about this topic: what about the claim that smoking is damaging for the lungs? What can you tell me about that? Or what can anyone tell me about this?